5 GHz Wi-Fi is better, so why aren't we letting go of 2.4 GHz? There is a bit of black magic -- or fuzziness -- to Wi-Fi technology. For example, few people know how fast their Wi-Fi connection is at any given moment. Wi-Fi operates at literally hundreds of different speeds (data rates), and these variations depend on dozens of factors. The speed can change with every single data packet that gets transmitted. Over the last 19 years, Wi-Fi has made incredible strides to stabilize and perform at the high level we enjoy today. The variability of Wi-Fi, however, can still make things confusing. Traditional APs have a fixed configuration, with one radio on the slower 802.11n standard (2.4 GHz band) and the second radio on high-speed 802.11ac (5 GHz band). This design is intended to support both older and newer Wi-Fi clients at the same time. The 2.4 GHz spectrum, however, is reaching its limits for Wi-Fi networking. But despite the availability of 5 GHz, many IT administrators still believe switching is complicated, and are settling instead for a 50:50 network design solution. According to Gartner, there will be more than 20 billion connected devices by 2020. 2.4 GHz is the original standard from 1997. It provides just three channels and is now congested, causing interference and dropped connections. If it is to support the ever-increasing volume of connected devices, the industry needs to move beyond a technology developed in the era of the cassette player. Given this background, let’s have a closer look at something that has created some controversy in the industry -- running all radios on a Wi-Fi access point (AP) in the 5-GHz band (or in 802.11ac mode). This approach was pioneered more than 10 years ago with software-defined (or software programmable) radios. Running all radios on 5 GHz means that an AP can operate entirely at the highest Wi-Fi speeds available, approaching speeds twice as fast as traditional non-programmable APs. When configured in this way, one AP can replace two (or more) traditional APs -- two for the price of one. When it comes to cost and implementation expenses, this is a big deal. Thankfully, 5 GHz offers eight times more capacity and is in reality easier to deploy. Introduced in 1999, 5 GHz was first used for military applications, as it was more expensive and used more power than 2.4 GHz. 5 Ghz use really took off in 2009 though, with the introduction of 802.11n wireless, the iPad, and the iPhone 5. It supports far more data, is the only band that can leverage the 802.11ac standard and -- with up to 24 channels -- is significantly less congested. More channels. More capacity. Less congestion. With benefits like this, it is no surprise that 5 GHz Wi-Fi has taken off in recent years. Device manufacturers have rushed to take advantage of its ability to support more data, with more than 90 percent of new smartphones, tablets and laptops now supporting the 5 GHz standard. But if 5 GHz represents the new face of Wi-Fi, why do so many enterprise networks still rely on 2.4 GHz -- an overcrowded legacy band nearly two decades old? More than 80 percent of today’s Wi-Fi device population supports the newer, faster 5 GHz technology. This creates a suboptimal situation if 50 percent of your infrastructure is dedicated to supporting just 20 percent of your clients. To correct this imbalance, some IT managers will turn a lot of the 2.4-GHz radios off, translating to wasted resources and money. Others will add more APs to get more 5-GHz radios, wasting even more money. Recently, Xirrus was asked to look into the puzzling case of poor service in a 500-seat college auditorium that had plenty of wireless coverage. Although two-thirds of the audience (349 students) were running devices connecting via 5 GHz, the dual-radio access points were configured 50/50 for the two bands and had been for the last decade. So why, when integrating 5 GHz into consumer devices has been a no-brainer for vendors, can the same not be said for the enterprise? Some believe installing dual-radio access points provides enough 5 GHz coverage. Others are "adapting" by switching off their 2.4-GHz radios. In reality, neither option will work -- 5 GHz needs a completely new configuration. The 50:50 ratio is often deployed where network administrators do not have a clear picture of the capability and number of devices accessing the network. Network management tools tend to display association tables rather than client capabilities, which can mean hosting far more 5 GHz clients than expected. This causes 5 GHz radios to become oversubscribed, resulting in poor service and dropped connections. The greatest barrier to 5 GHz adoption appears to be more about misconception than technicality. IT admins want their networks to be flexible, but designs need to be adapted to the new generation of users. Choosing the right Wi-Fi network requires a carefully thought-out strategy. 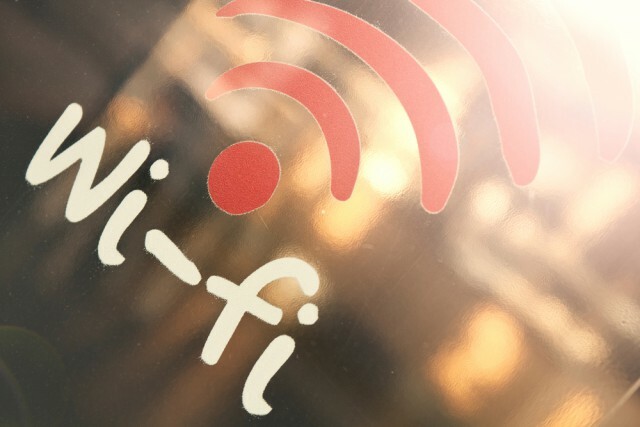 2.4 GHz is not going away all together, but it was not created to support the volume enabled by today's ubiquitous Wi-Fi connectivity. IT admins need to ask whether the evolving demands of the network warrant giving the 2.4-GHz band 50 percent of the access point radios. Can it provide the performance required as more devices crowd into this band? For many businesses the answer to this question is no. Some level of 2.4 GHz support is undoubtedly still required, but over time its limited capacity will make it increasingly inadequate. A well-planned network is one planned for the future. A few years is the same as a lifetime in technology; an enterprise needs the flexibility to see it through not just this generation of networking, but the next. All the trends indicate that the traditional fixed configuration approach is outdated. Even if there are a fair amount of 2.4 GHz-only clients on a network today, for example a set of laptops purchased several years ago, there is no doubt that the industry continues to move toward 5 GHz as the preferred Wi-Fi operational band. Network managers need to make sure their solution can adapt to these changes over the course of its lifespan to ensure a scalable, future-proof Wi-Fi network.